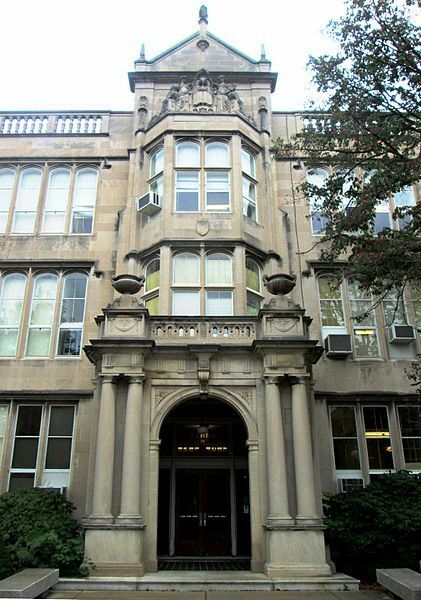 This academic building was built in Urbana, IL, by architects Holabird & Roche and completed in 1921. In the basement of University Hall, located where the Illini Union currently is, the University Laboratory High School was born. This school was a preparatory class designed to give older students a jump-start before enrolling in college. For a mere $5 tuition and the ability to pass very rigorous exams deemed equal in difficulty to that required for a second-grade teacher’s certificate, you could enroll if you were no less than 15 years of age. Almost directly after completion, the building was converted into a hospital for the remainder of World War I. After the war had ended the building was later returned to its original purpose for the 1921-1922 school year. The University Laboratory High School, often referred to as Uni, was designed by Holabird and Roche. This style of architecture was fairly common for most buildings that were also built in the Late Gothic Revival style. This building now functions as a selective, public laboratory school that is associated with the University of Illinois at Urbana-Champaign. Catering towards the academically strong students from a combined 7th and 8th grade known as the “subfreshman” year, until 12th grade, the school is known for the achievements of its alumni. Newsweek accredited Uni as a “public elite” school in both 2006 and again in 2008. The school was planned to replace an existing preparatory institution with a junior-and-senior high school (grades seven to twelve) that would also function as a laboratory school for the college of Education to study the application of experimental teaching methods. It was designed by the Chicago architecture firm of Holabird and Roche. Construction began in 1917, under the direction of Architect J. M. White, who was at the time the University’s superintendent of buildings. The structure which exists today was completed in 1921 and represents less than one wing of the one which was planned. The University High School is an English collegiate gothic styled building or otherwise known as late gothic revival. In its original plan the building was designed to be H-shaped, with each wing holding a different purpose. One wing was to house classrooms and libraries of a senior high school (grades 10-12) and the other was to be for a junior high school (grades 7-9). The auditorium and gymnasium that was to be shared by these two schools would be in the middle of the wings along with other offices and classrooms facilitated with the college of education. Holabird and Roche was founded in Chicago in 1880. They designed some of the world’s first skyscrapers that are still standing in Chicago. Holabird & Roche designed several other buildings on the University of Illinois campus that were completed during the 1919 to 1923 period, including University High School, the Horticulture Field Laboratory, and Memorial Stadium. In 2013, Holabird and Roche won the Chicago Landmark Award for Preservation Excellence – Restoration for its design of the J&J Arnaco Monroe Building. • Collaborated with Nathan Ricker in the construction of what is now Altgeld hall, 1409 W. Green Street, Urbana, completed 1897. • Addition to the Natural History Building, 1301 W. Green Street, Urbana, 1923. • Smith Hall, 805 S. Mathews Avenue, completed 1920. 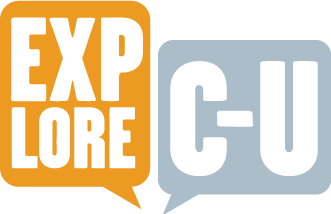 Jennetten, Leo, Tom Homeier and Helena Kelly , “University High School,” ExploreCU, accessed April 18, 2019, https://explorecu.org/items/show/308. "Awards." Holabird & Root. Holabird & Root, 2013. Web. 03 Nov. 2013. <http://holabird.com/firm/awards/> “Campus Landmarks.” Illinois.edu. University of Illinois. 2013. Web. 3 Nov. 2013.<Illinois.edu/about/overview/facts/landmarks.html> Cuerda, Sasha. “Holabird and Roche.” Urbanillinois.us. City of Urbana Public Works Department. 30 mar. 2012. Web. 3 Nov. 2013. <urbanaillinois.us/residents/historic-urbana/100most/architects/hollabird> “Preface – A history of Uni.” Uni.illinois.edu. University of Illinois Board of Trustees. 2013. Web. 3 Nov. 2013.<www.uni.edu/content/preface-history-uni> Sasha Cuerda and Rebecca Bird. 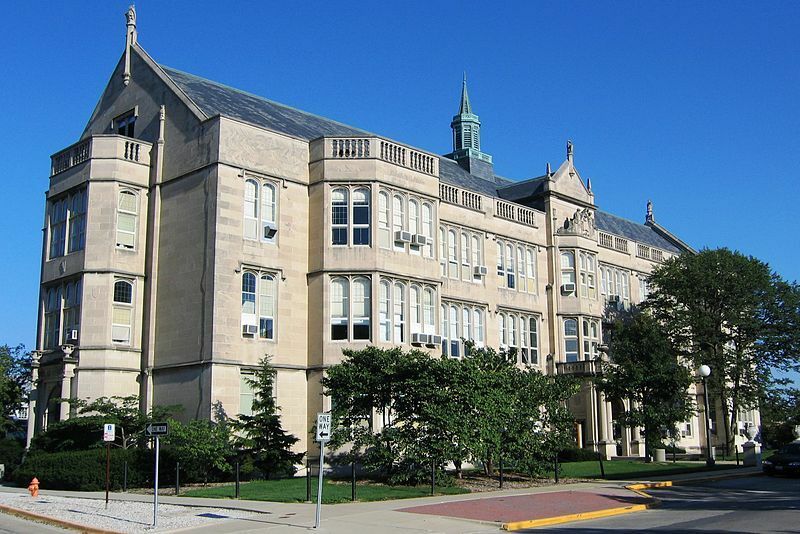 “1212 W. Springfield Ave., University High School” http://urbanaillinois.us. City of Urbana. Apr 16, 2012. Web. 11/3/13 University of Illinois Facilities and Services, Planning Division. “University High School.” Police.illinois.edu. University of Illinois. 13 Dec. 2011. Web. 3 Nov. 2013.<http://police.illinois.edu/emergencyplanning/floorplans/B0061.pdf> “University Laboratory High School (Urbana, Illinois)” http://en.wikipedia.org/wiki/University_Laboratory_High_School_(Urbana,_Illinois)#cite_note-18. November 1, 2013. Web. 11/3/13 .